David Johnson, Larry Fitzgerald, and Carson Palmer pieced together a flawless flea flicker to help keep the Arizona Cardinals trending upward. The San Francisco 49ers were giving the Arizona Cardinals a rough time, as Chip Kelly’s 1-7 squad managed to keep things at 20-10. However, the Cardinals were the better team, and they decided to give the 49ers a glimpse of their high-flying offense by putting together a flea flicker. Carson Palmer handed the ball off to David Johnson, who then tossed it back to Palmer. 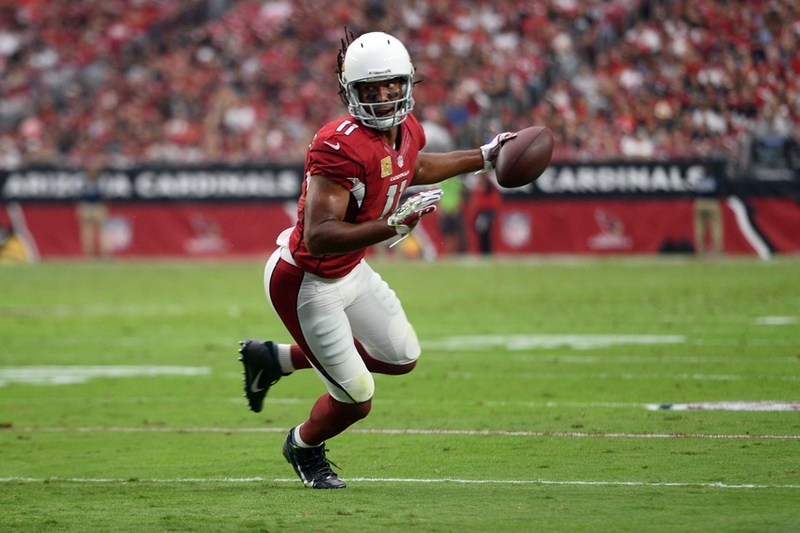 The Cardinals franchise quarterback had plenty of time and he saw Larry Fitzgerald open in the middle of the field. Palmer didn’t hesitate to make the throw. Frankly, the 49ers should be happy that ace safety Eric Reid was able to make the stop before the Cardinals put six points on the board. Though Palmer’s pass to Fitzgerald on the flea flicker went for 33 yards and put Arizona in position to score at the seven-yard line, the Birds came up with nothing on that drive. After being sacked by DeForest Buckner, Palmer was stripped by another young talent on the 49ers defense in Eli Harold. Buckner came up big again by recovering the ball for San Francisco, and the 49ers put three points on the board, courtesy of a 53-yard field goal from Phil Dawson. Next: Which Rookies Deserve More Credit? Both of Palmer’s weapons that touched the ball on the flea flicker came up big in the game. Fitzgerald had 89 yards on eight receptions after the catch on the trick play and Johnson scored their only two touchdowns to that point in the evening.